Yet another clash between commercial and recreational fishing interests is coming to a showdown, this time over southern flounder and it now involves the North Carolina General Assembly. The battle over harvesting southern flounder has been percolating for the past few years. Certain recreational fishing interest groups, particularly the Coastal Conservation Association, have called for a massive reduction in catches of the fish, including a ban on commercial gill net harvesting, a 40% reduction in the commercial catch (with no reduction at all in recreational), while allowing only pound nets and gigging as a commercial harvest method. Things heated up even more when a DMF-commissioned stock assessment of southern flounder released in January was rejected by a peer-review panel consisting of Dr. Steve Midway of Coastal Carolina University, Erik Williams of the National Marine Fisheries Service and Genny Nesslage of the Atlantic States Marine Fisheries Commission — the latter two federal or federally chartered entities. The surmountable problem revolved around a too-small sample size of young-adult southern flounder, but funding from the state could have been an issue. The insurmountable one is that North Carolina’s southern flounder not only includes native-born fish, but migrating southern flounder from as far away as Florida. Still, Daniel told media outlets that North Carolina “would not sit on its hands” and would move forward, despite the peer group’s concerns. As a result, the Marine Fisheries Commission, with at-large member Chuck Laughridge, a life member of the CCA and recreational angler activist, has been pushing hard to put the southern flounder issue on its agenda and move ahead with a stock reduction. In a press release issued May 15, the CCA stated not only would the “status quo” regulations currently issued by the MFC lead to further stock declines, the group also stated the forty percent reduction in landings, which would fall exclusively on commercial was necessary because “as cuts will likely either be “fished around” by commercial gears or be less than modeled due to undocumented catches”, implying the commercial industry would violate the spirit of existing laws unless stern measures were taken in the total catch allowance. According to the letter from General Assembly, even members of the marine fisheries staff recommended against moving forward with a stock reduction plan based on the disputed study. In particular, the DMF and some members of the MFC are targeting gill net restrictions as a way to reduce or eliminate commercial harvests. Locally caught flounder is a major staple in coastal North Carolina restaurants and seafood markets. According to DMGF statistics, commercial fishermen, typically netters, landed 2.1 million pounds of southern flounder. That 2013 catch is about double the 2011 catch. In cases where fish stocks are severely stressed, both commercial and recreational landing decline together. 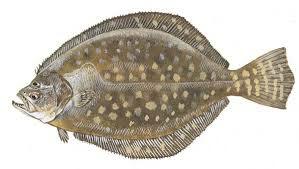 In 2013, DMF also reported that recreational anglers landed just over 400,000 pounds of southern flounder. The letter from the General Assembly, which was also signed by Dare County’s House Rep. Paul Tine appears to have prompted a delay in the MFC’s agenda but not a permanent solution. The MFC still plans to take up the issue at its Sept. 19 meeting, and it appears forces on both sides of the issue are gearing up for showdown.